At full time, the scoreline read: South Korea 1. Philippines 0. 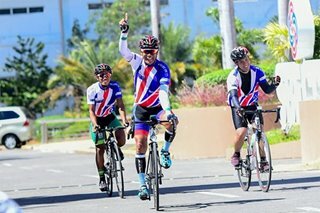 Favored to win the tournament, the Koreans won, but the Philippines is coming away with a lot of respect. The Azkals gave the Taeguk Warriors a lot of fight and it was a momentary opening for Hwang Ui-Jo, who as we pointed out in our preview would have an impact for his country in this tournament, to score in the 67th minute that Korea needed to grab all three points and to join China in the leader board for Group C of the 2019 Asian Cup in Abu Dhabi, UAE. Here are our thoughts of the match. 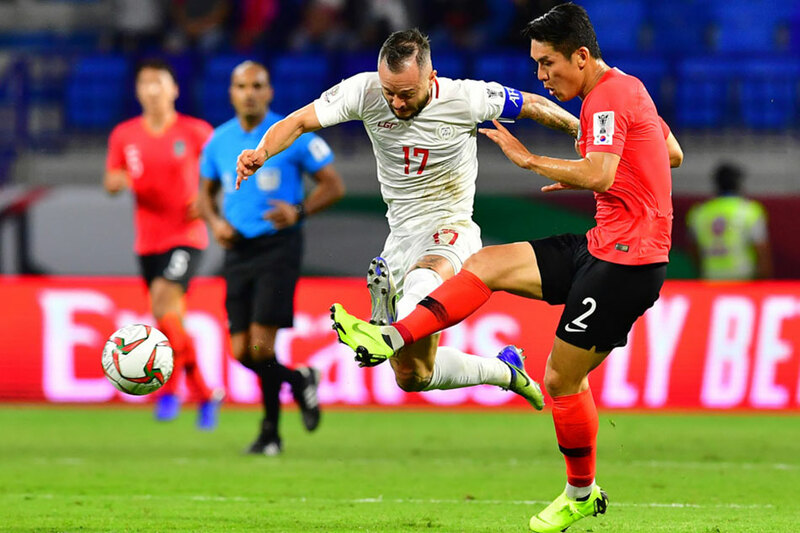 Philippines head coach Sven-Goran Eriksson opted for a more cautious and pragmatic approach with a 5-4-1 formation and preferred to hit Korea on the counter attack. It somewhat worked because the formation clogged the Koreans’ 4-2-3-1 formation and for the most part made life difficult for them. Yet, Korea had 16 shots at the Philippines’ goal, but only five were on target. In contrast, the Philippines had six chances with two from Javi Patiño, playing the tip of the formation, that went straight to the keeper, Kim Seung-Gyu. And we are certainly lucky that a Korean shot was deflected and drifted wide or we could have stared at an early deficit. I think there were brilliant performances on the Philippines’ side with Alvaro Silva (who had a scoring chance late in the game), Luke Woodland, and Stephan Palla shining on defense. Daisuke Sato had his moments, too. Stephan Schrock, building up way in the back, was brilliant in the midfield. And Patiño was exciting and one wonders what he could have done for the Philippines in the recent Suzuki Cup. I know that Korea is a handful, but I thought the more defensive approach gave Korea a better chance to win the game. With the Philippines sitting back, Korea enjoyed 82% of possession and made 782 passes compared to the Philippines’ 174. I don’t think that the Philippines can afford to play the same style against China, who will be ready for such a tactic. Did South Korea deserve the result? Of course, but the scoreline, considering the talent that Korea has, flatters the Philippines. And if Jordan’s 1-0 upset of Australia on opening day and China’s 2-1 win in a struggle against Kyrgyzstan on the second playing day are any indication, no one will have it easy. At this point, the Filipinos should not bow their head due to the loss. They should be proud, but they have to get this game out of their mind and prepare for China. And as we said previously, maybe with a slight change in strategy.